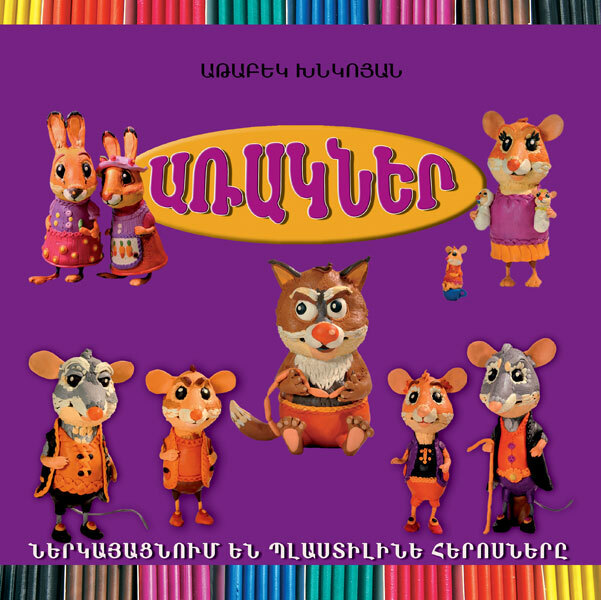 The book includes children’s favorite fables by Atabek Khkoyan; “The Meeting of Mice”, “The Pig and the Raven”, “The Hares”, “The Wolf and the Lamb”. The characters are actually made of colourful plastic. 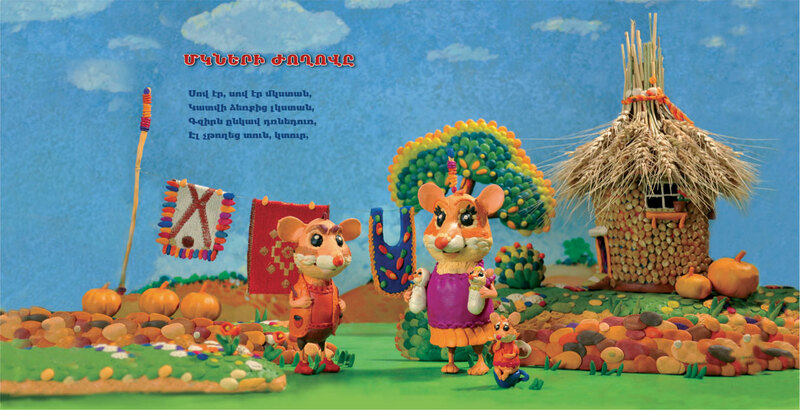 Besides reading the favorite fables, children can also make the figures themselves, which will develop their thinking, imagination, talent for making things, and will reveal their artistic skills.